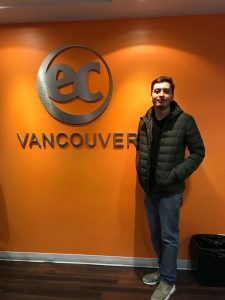 My name is Marco Aurelio, I’m from Brazil and I have studied at EC Vancouver for 3 months. My time here and the experience studying abroad was the best I ever had! There were good teachers to help and support you and the activities to do during the week were awesome. My English is much better! I made a lot new friends, learned about new cultures and my host family made me feel at home the whole time. 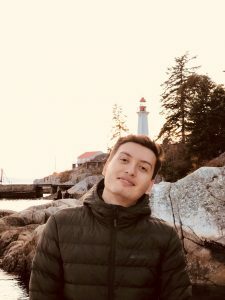 I loved all the places that I visited in Canada, such as Joffre Lake, Rocky Mountains, Stanley Park, English Bay, Lighthouse Park, Deep Cove and Banff. I’m so grateful for the opportunity to be here in Vancouver and I hope to come back one day. Looking for IELTS preparation in Canada?Come to Vancouver and study at EC Vancouver English Centre!